Welcome To Our Used Goods Section. 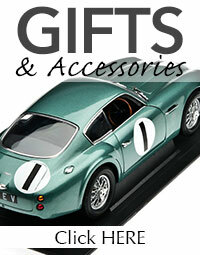 Please take the time to browse through our interesting array of used Aston Martin Parts. Everything from used Engine Parts to body panels, interior and mechanical components to new old stock items available. We also have a stock of discontinued and difficult to source parts available. If you have a specific requirement that isn't currently listed please contact us and we will endeavour to assist. This section is constantly being updated so please call back. Original 2.6L Cylinder block fully machined and modified with new Cylinder liners fitted. Oil ways modified for up-rated Oil Pump. New Liners fitted and heights set. All threads taped and checked. All machining work has been carried out "in-House"
We would be happy to discuss your Engine build and machining requirements. All other related parts for your Engine build are also available. Please note, the Cylinder Block Assembly is being sold as a used item, no warranty is implied or given. It is solely the reasonability of the Engine builder to ensure relevant checks are carried out prior to assembly. Please note - These are the original Italian Bologna type Carburettors. Sold with matched inlet manifolds, K&N Air Filters, Bell mouths and have been tested on our Dyno. These are being sold as used items. No Warranty is implied or given. Fitting and tuning service also available. Please contact us to discuss your individual requirements. DB2 Crankshaft. New Old Stock. Suitable for 2.6 & 3.0 litre Engines. NOT MKIII DBA. Please note, there is some slight surface rust on some of the journals (see images) so the Crank will require Re-Grinding prior to fitting. Considerable saving on the price of a new Crank. Crank Grinding and balancing services also available. Please contact us to discuss your requirements. Item being sold as used. No warranty is implied or given. We have a limited stock of used, original cranks for sale. These can be supplied as is, or ground and balanced to your requirements. A matched pair of original DB2/4 MK III Inlet Manifolds. These items are being sold as Used items. No warranty is given or implied. Supplied with integral Ring Gear. Some slight signs of surface rust, this will not affect usage. This item can be supplied balanced if required. Please contact us for pricing. Item is being sold as Used. No warranty is implied or given. DB2 / DB2/4 Original Inlet Manifolds. 4 stud flange for H6 Type Carburettors. Sold as a matched pair. Please contact us for pricing and to discuss any further requirements you may have. Used items. No warranty implied or given. Flat down pipe flange type. This is a used item. No warranty is implied or given. We can also supply New Cast manifolds and Stainless Steel equivalent. Early DB2 2.6 Carburettor Assembly. Complete set of Carburettors and manifolds to suit the early LB6B Engines. Please note the manifolds and Carburettors are the 2 bolt fixings with H4 Thermo type Carburettors. These are used items and sold with no warranty implied or given. Singular Carburettors and manifolds also available. Excellent used condition inclusive of Filler cap. This item is sold as used. No warranty is implied or given. Suitable for DB2 / DB2/4 & DB2/4 MKIII. Used item, no warranty implied or given. Pair of used manifolds, supplied as pictured. Set of 4 used V8 Carburettors. Sold as used. No warranty implied or given. Fitting and tuning also available. MKIII Water Pump body and pulley sold as pictured. This would suit somebody who has a damaged or corroded pump body. Sold as "parts Not working" no warranty implied or given. Set of Vantage Inlet manifolds, complete with studs. All other related items are available on request. Used items. No warranty is implied or given. Original DB5 Vantage specification Engine. Sold as a complete unit, as pictured, less Carburettors. The Engine has been Dyno tested and performed well with good oil pressure. Having extensively searched the original build sheets trying to locate the Engine number we believe this was more than likely a factory spare and was not allocated to a vehicle. Very rare indeed. The Engine is being sold with no warranty implied or given. 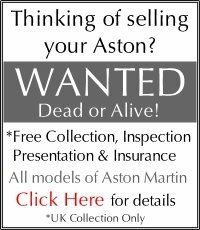 A rare opportunity to purchase a genuine, original DB4 Cylinder Block. The Block has been fully machined with the liner locations taken out to accept standard 4.0L /4.2L Cylinder liners. Liner heights machined and set to manufactures tolerances. Main bearing tunnel freshly Line Bored. New rear crank seal fitted and line bored to suit standard scroll size. Supplied with matching front timing cover that has been machined with the block. All threaded holes tapped and checked. This block is ready for a final clean and liners fitted prior to assembly. All work has been carried out in-house to the highest possible standard. Please contact us for pricing or to discuss your engine machining or building requirements. Sold as used, no warranty implied or given. We have a limited selection of, good used Cast Iron Exhaust manifolds to suit the above mentioned vehicles. These items are sold as used. No warranty is implied or given.